The application process starts with the form below. The first page covers basic information, the second covers your skills,experience, and insurance. The final section covers your services information. The form takes about 20 minutes to complete and is most user-friendly on a computer rather than a tablet or smart phone. Please have your insurance documents ready to upload prior to starting - either as a PDF or JPEG. All prices inclusive of VAT, subscription payment via PayPal or Standing Order. PLEASE ONLY FOLLOW THE PAYMENT OPTIONS WHEN YOU HAVE PASSED THE ACCREDITATION PROCESS. * In the event we already have a member in your postal district on your chosen directory, we will endeavour to put your profile in an appropriate alternative location. Territories are based on the first half of a postcode, and given on a first-come, first-served basis. We try to ensure there is an empty postal district between member territories. If there are specific photos you would like to appear on your profile, please upload them here - they need to be at least 1200 pixels across and 400 pixels high. Please upload a MAXIMUM of 30 images. Please upload your logo here, it will be displayed as a square image, and needs to be at least 500 pixels across. Please also upload a passport-style photo of yourself - ideally from the shoulders up, looking straight at the camera, with a smile or neutral expression. This can include formal courses or informal shadowing. Member profiles have a section specifically for your certifications. Have you worked for a car care company? If you have previously worked for another company within the trade, please state it here. If an existing PVD member has agreed to vouch for your workmanship, please state their name and company. Which Insurance Company do you use for PLI/Accidental Damage? What is your entry-level service? What is the top service you offer? Do you offer trade / contract work? What types of Vehicle do you service? What is your hr/day rate for valeting work? What is your hr/day rate for machine polishing? Do you take Deposits? What percentage? Do you have an awning or mobile shelter? What make/model of vehicle do you use? Do you carry onboard water? Do you use a water reclamation mat? Do you have onboard power? Do you offer collect and return services? To renew any and all insurance policies and send updated certificates via email. If I cancel, amend, or change my insurance in any way I will inform PVD by email that I have done so immediately. To ensure monthly payments are maintained, either via PayPal or Standing Order, and that if they should default I may be required to pay annually. That the information provided in this application is correct to the best of my knowledge. To abide by the Code of Conduct set out and approved by the PVD Advisory Board. I understand that if I breach the Code of Conduct my membership may be terminated. 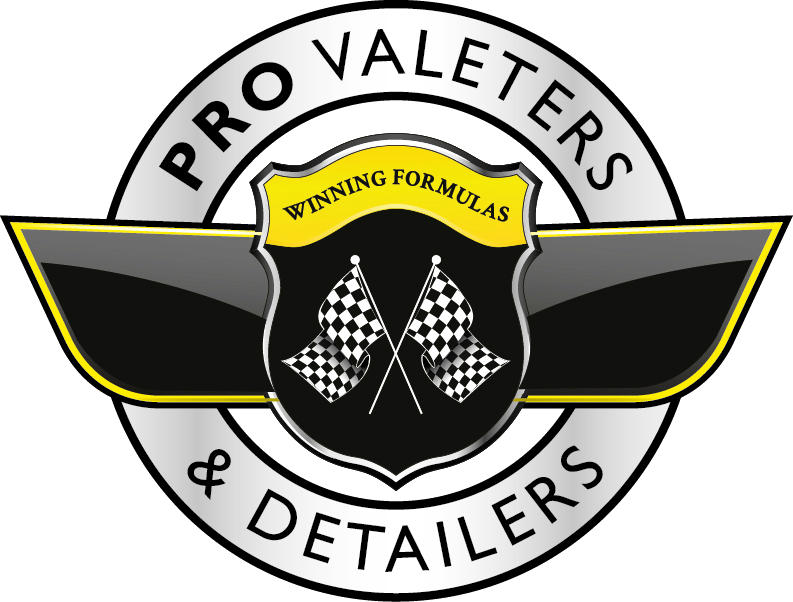 That Winning Formula Products Ltd T/A Professional Valeters & Detailers (PVD) may store the information from this form for the duration of me membership. That PVD will use some of this data to create public facing directory profiles. This may include but is not limited to, your business address, telephone number, email address, and social network accounts. That you have customer consent from the owners of vehicles you have uploaded on this form to be used for promotional purposes.